In order to have a well-informed citizenry, it's critical to focus on history and civics education in our schools. 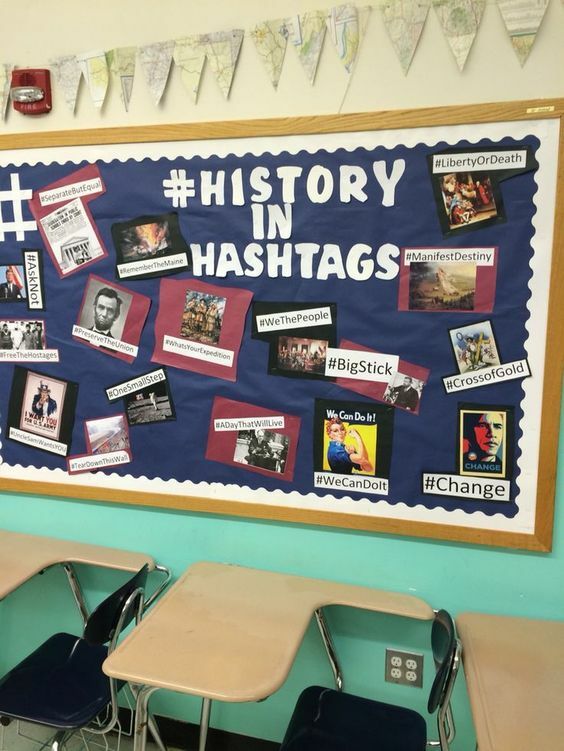 Kalena Baker suggests that elementary school teachers ask students to create hashtags after studying historical subjects. This week we marked the 230th anniversary of the signing of the U.S. Constitution. Sadly, this is one of the many facts of which students in our public schools are largely unaware. It’s long past time for that to change. In recent years, much effort has rightfully been devoted to improving math and science education, while U.S. history education has been marginalized. Consequently, American students score better in math and science than they do in civics on the National Assessment of Educational Progress. When Horace Mann founded the first public school system in Massachusetts, he envisioned it as a way to safeguard our democracy by educating students in its principles. We honored that vision nearly 25 years ago when we crafted Massachusetts’ Education Reform Act (MERA). The law calls for making passage of a U.S. history test a high school graduation requirement. Unfortunately, the Patrick administration eliminated that requirement in 2009, before the test was ever given, citing the $2.4 million administration cost. Since then, history and civic education have been sidelined in Massachusetts, especially in urban school districts. Today, Founding Father Alexander Hamilton has again become well known, thanks in part to the hit Broadway musical that bears his name. But few students know he wrote the majority of the essays that make up The Federalist Papers, which is among the best articulations of self-government ever written. The Federalist Papers, authored by Hamilton, James Madison, and John Jay in the run-up to ratification of the Constitution in New York State, is the most cited source in the history of U.S. Supreme Court decisions. Unfortunately, few students know much about these essays. Unlike Massachusetts, states including Arizona and Indiana fund civics instruction as early as third grade. In contrast, the Commonwealth has never even been fully supportive of the “We the People” program, a national high school civics competition established at the Constitution’s bicentennial in 1987. Bay State teachers have kept the “We the People” program together on their own, because for a decade, state government has not been a constructive partner in advancing history and civic education. Massachusetts has stellar academic history standards, but these too may be at risk. The state Department of Elementary and Secondary Education is currently mapping out a plan for revising our nation-leading standards. After dumbing down the Commonwealth’s English, math, and science standards in recent years, will they do the same to history? Amid adversity, our social studies teachers have worked hard at preserving history in classrooms. Unless Massachusetts reinstates passage of a U.S. history test as a graduation requirement, and absent state-level leadership, there will continue to be no way to measure student progress in history and civics, or ensure that local school districts support history departments. Massachusetts is planning to “dumb down” the history standards for its schools. To make room for the history assessment without over-testing students, Massachusetts should seek a waiver from federal law, which requires annual testing in English and math. We already know the Commonwealth’s students are national leaders in those subjects. Preparing students to fully engage in civic life was a core purpose behind the creation of America’s public schools. Until we ensure that high school graduates have the requisite historical and civic knowledge for citizenship, we’re risking a future of young people forfeited from the prerogatives of full participation in our democracy.